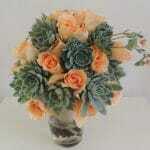 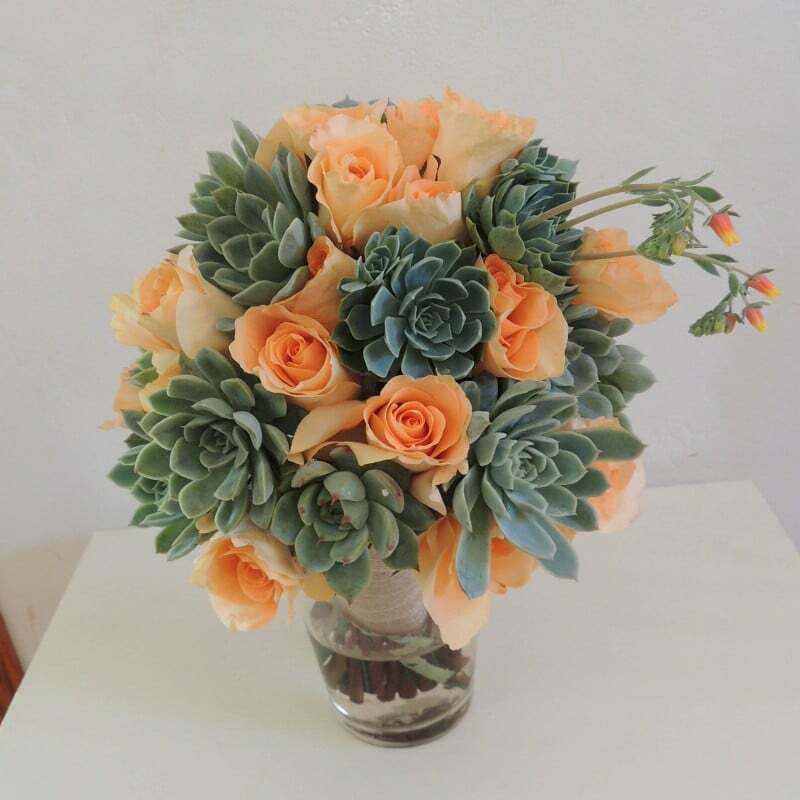 Created with one dozen succulents and 12 roses. 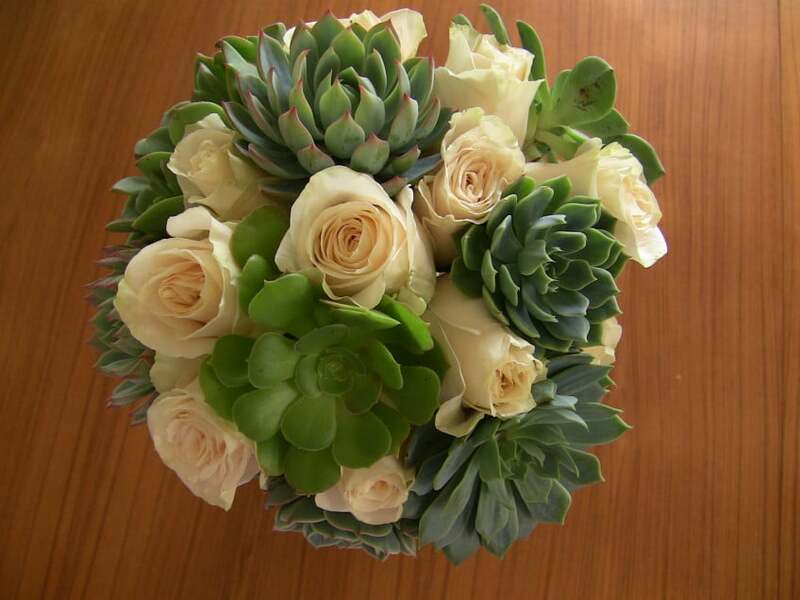 The stems are wrapped in jute ribbon or white satin ribbon. 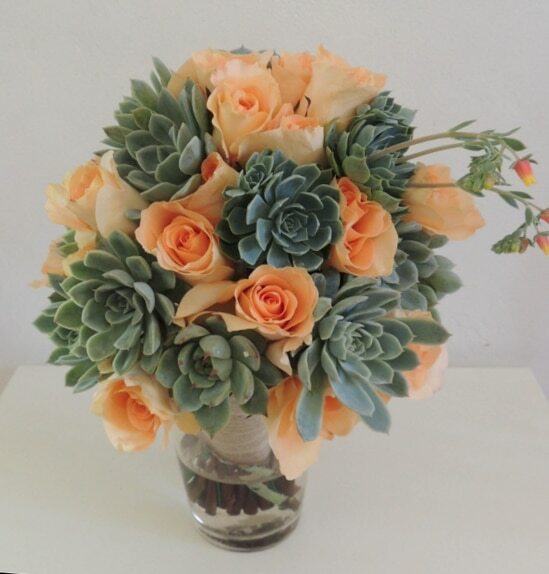 Local (San Diego) pick up or delivery only. 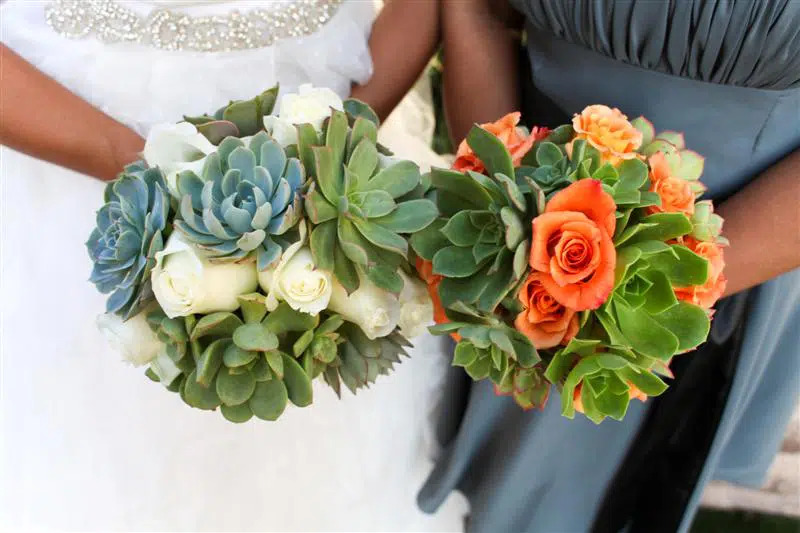 If you live outside San Diego I can create a DIY listing which features the same succulents prepared on wire so you or your florist ties them mixed with local roses.